Will Silver Shorts End Up Like ShortSellers.com? Last week a fund called OptionSellers.com blew up. Primarily because they aggressively shorted an asset and left themselves with virtually unlimited risk. Which when the market moved against them, not only wiped out all of their capital. But left some customers actually even owing additional money. 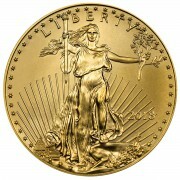 Which is worthwhile to take note of for those involved in the silver market. Where there is an unbacked paper short position that cannot be covered with physical metal. And has left many exposed to an outcome potentially quite similar to what the investors of the OptionSellers.com fund just experienced. For a long time it was the bullion banks that owned the majority of the short position. Although in recent years that has amazingly been unwound, and passed off to the technical hedge funds that now own it. Which means that the investors of these funds are short an asset with virtually unlimited upside whenever the paper vs. physical imbalance is resolved. Now being short silver at $14 simply because the 50 or 200 day moving average moved lower never really struck me as a significant enough reason to be short. Especially when the supply and demand fundamentals indicating an eventual move to the upside remain so pronounced. Now even more so following the recent news that J.P. Morgan traders have indeed been manipulating the market, with further attention being placed on the case. As a result, the conditions for the short squeeze of a lifetime are in place. Which means that at the same time silver is rising, these funds are going to have to buy back their position. But from who? Certainly after the banks have gone to all of the effort of unwinding their short position and now getting long, it’s hard to imagine them letting the hedge funds off the hook easily. And this is one of the dangers of being short any asset. Because every night you go to sleep with virtually unlimited risk. Which in this case I’m guessing most of the investors in these funds don’t even realize they are exposed to. As a former equity options market maker on the New York Stock Exchange, I’m well familiar with the risks of being short. Especially being short options. Which is not to say that there are not appropriate times to short an asset, but rather that it’s darn well worth being aware of the risk. Especially now as the investors of the OptionSellers.com fund found out that they can lose even more than their original investment. While investing in precious metals, and silver in particular over the past decade has not been the easiest and most rewarding experience, it has been one of the more fascinating financial events to follow along. Especially now as the rumors of manipulation are being increasingly documented and supported by legal confessions and guilty pleas. Indicating that those who have explained the pricing as being distorted by manipulation have turned out to be correct. And with those who were correct on that matter also continuing to reiterate that prices at some point are simply going to have to rise. 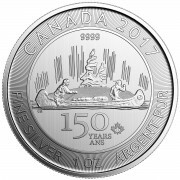 If you are invested in one of these funds that is short silver, I would highly recommend taking a look at this report that explains why the price of silver is set to explode. Because outside of the technical funds reacting to the moving averages, I haven’t even heard of anyone attempting to make a case for why silver would go much lower from here (if you have, or if you have any questions about this article or the market, please email me here). So given all of the factors indicating why at some point the price will almost necessarily have to rise, pulling your money out of a fund that is short silver and getting long yourself (much like the banks controlling the action have done) remains a timely way of avoiding Wall Street’s latest upcoming debacle. While also keeping your money safe and taking advantage of the eventual resolution of this glaring market imbalance. 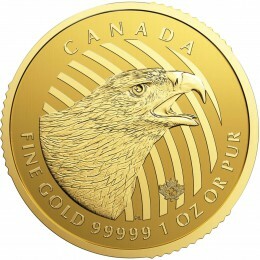 -To buy or sell gold and silver call Miles Franklin today at (1-800-822-8080). 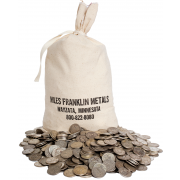 -Or get Miles Franklin’s detailed report on why the price of silver is set to explode. Phenomenal article! Doesn’t this prove that a lot of people really can’t believe something bad could happen until it happens? Also, isn’t it almost axiomatic that the first one out of a situation winds up better off than those that follow? Isn’t this what insurance is for? Aren’t PHYSICAL PM”S financial insurance? Glad we’re still able to buy at the same low prices that the banks pay- for now!